On March 12, AAUW Fallbrook held their annual joint lunch meeting with AAUW Temecula at Pala Mesa Resort. Author Michelle Robin La captivated the room with a presentation on her first book, “Catching Shrimp with Bare Hands: A Boy from the Mekong Delta.” Read the rest of the article here. 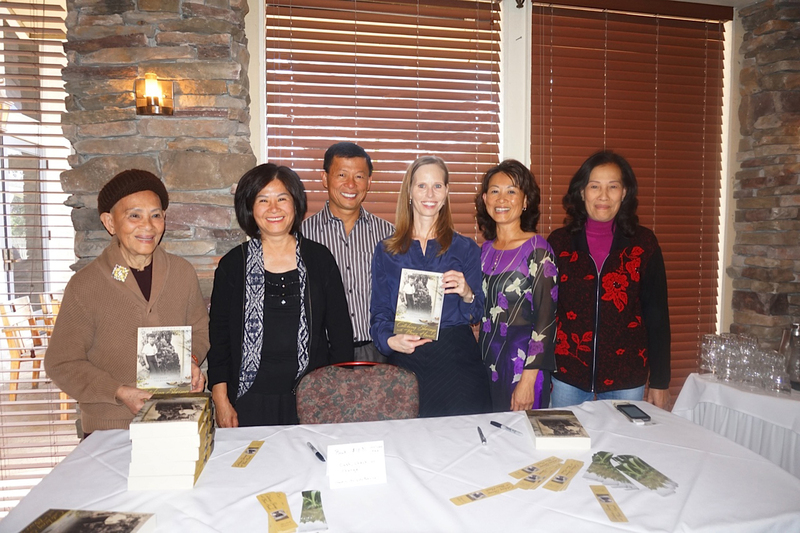 (Photo credit Nancy HeinsGlaser) Attending the book talk are some of the people who are in the book, from left, Rose Le, Nancy Hue La, Luong La, Michelle Robin La, Young La Milton, and Lisa Tuyet Le. Rose Le is the mother of Luong, Young, and Nancy while Lisa Tuyet Le is their aunt. 2 April, 2016 in Reviews & Articles.